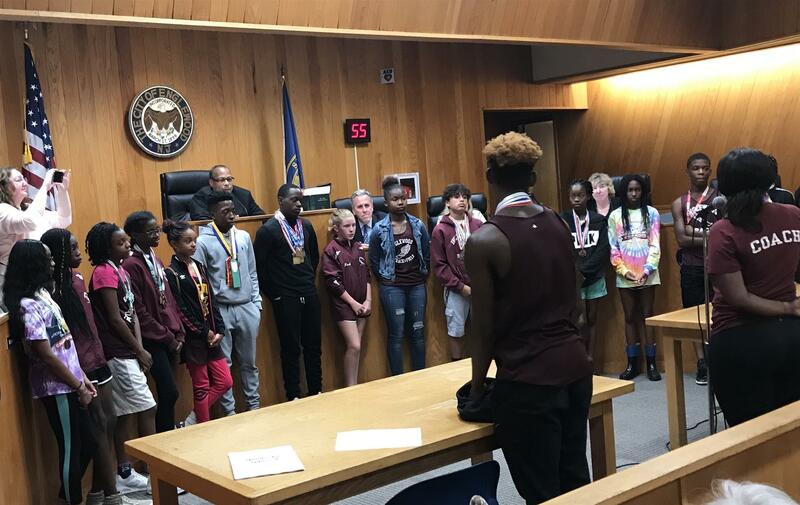 Englewood Rotary Club is proud to support the Englewood Raiders Jr. Track and Field Club. Many members of the group qualified in the Regional event, and are now poised to travel to the national Jr. Olympics in North Carolina! The students have raised $8,000 of the $15,000 needed to travel, and Englewood Rotary has pitched in $500 to help them out.